L2-92, 33, Jalan Seladang, Taman Abad, 80250, Johor Bahru, Johor. 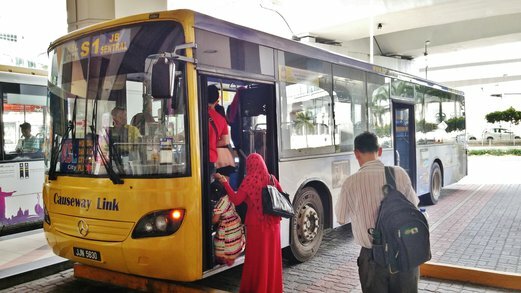 Go to KSL City by bus – Johor Bashru Shuttle Bus Guide. 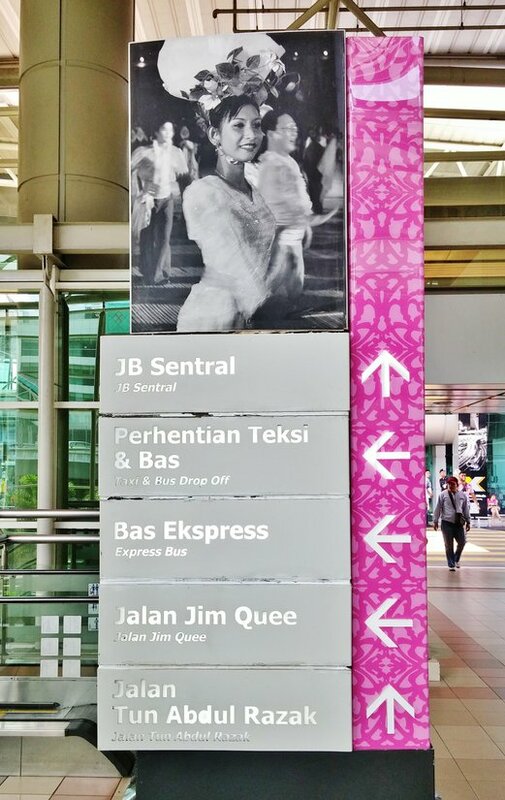 When you come out from the immigration counter at JB’s CIQ Complex, follow the path/route that leads towards City Square Mall. Turn left and take the escalator down to the bus bay area. 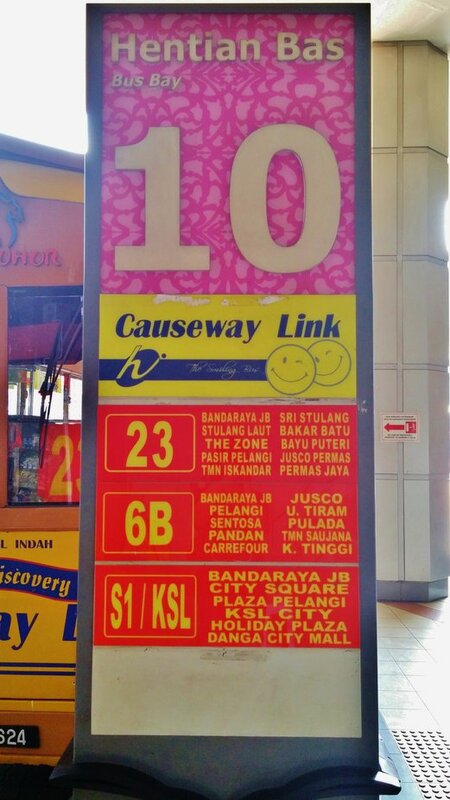 1) S1 by Causeway Link that goes to Plaza Pelangi, Holiday Plaza and Danga City Mall and 2) IM 17 by Maju that stops by Plaza Pelangi and Holiday Plaza as well. The S1 bus will be parked at the bus bay like this while the IM17 bus is always out in the sun behind. The driver of the IM17 bus is always seen shouting out ‘KSL! KSL!’ from his bus (really loudly so it’s impossible to miss!) probably to lure customers since both buses are different companies, lol. The IM17 bus looks a bit more run-down than the S1 bus and it also takes a longer while before it sets off (driver waits for bus to fill up before leaving) but I like that they always screen a new movie on the TV screen on board so I get a preview of it while keeping myself entertained, lol. 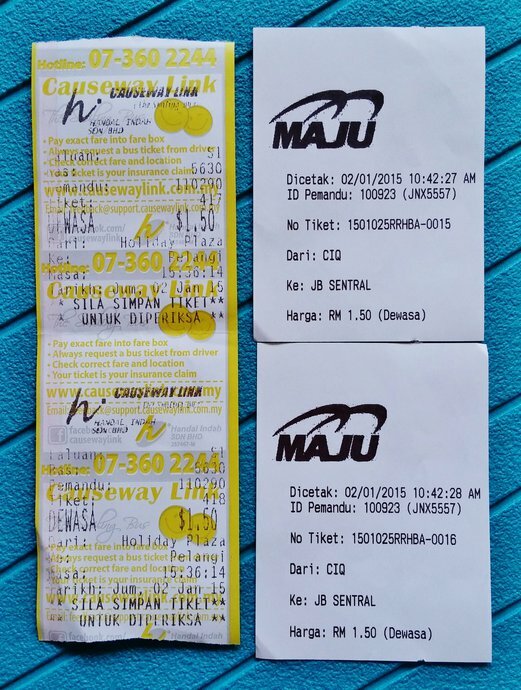 Bus fare for both buses is the same at RM1.50 per person. Just give exact cash (dollar notes or coins are fine) to the driver and you will be issued a receipt like this. The only difference between the 2 buses is that S1 actually stops within the KSL City’s compound i.e. their entrance driveway and will wait there for about 15 minutes or so to pick up people who are going back to JB Sentral. 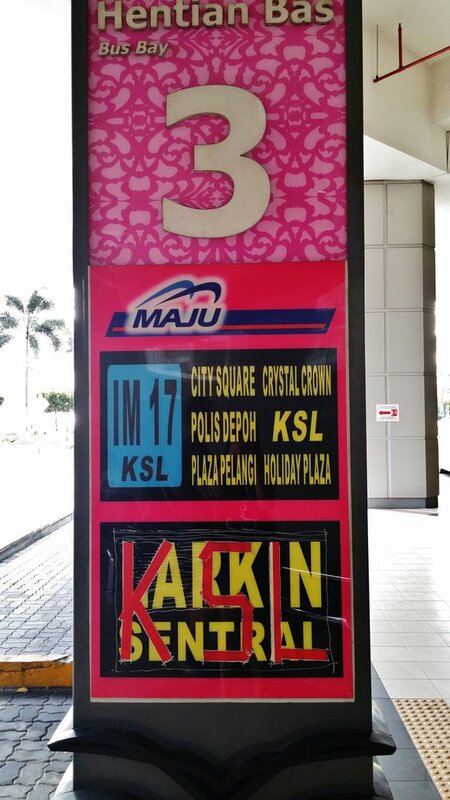 For IM17, it stops on the roadside outside KSL City and you will need to press the bus bell beforehand to alert the driver that you’re alighting. The pick-up and drop-off points at KSL City for each bus are the same. This shuttle bus service is very reliable as it’s fixed price for all and the journey only takes about 15-20 minutes. Recommended! Continue on Jalan Damansara. Take Jalan Sultan Hishamuddin, Jalan Raja, Jalan Raja Laut, Jalan Kuching/Route 1 and Jalan Raja Laut to Jalan Putra in Chow Kit. Turn left onto Jalan Putra and Sunway Putra Mall will be on the left.